Travel through time with our deco wall clock ! This design wall clock proposes you the time in different languages. This kitchen wall clock is 50 cm in diameter. 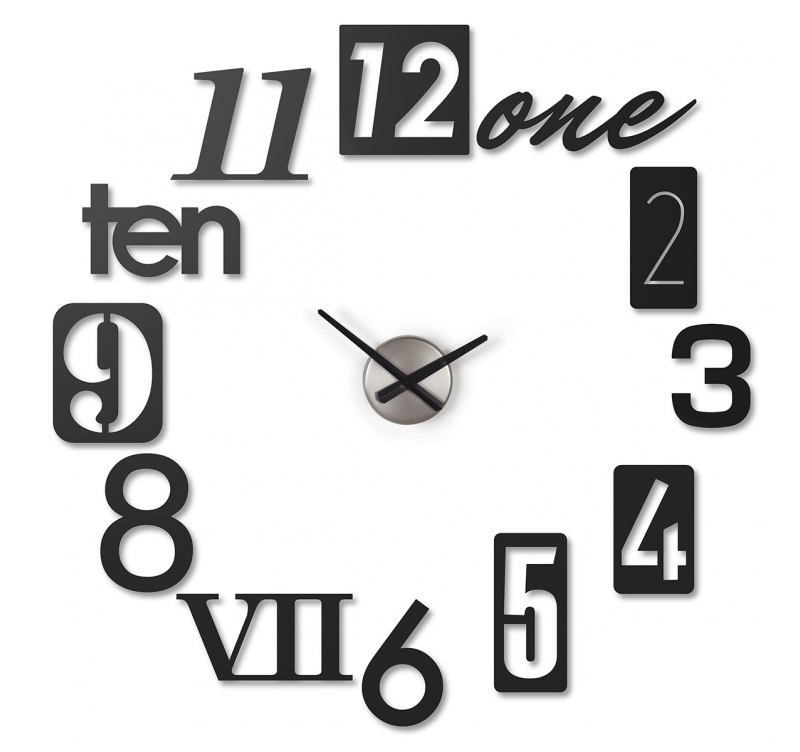 Free 48 / 72 h delivery in metropolitan France and Belgium for this design clock. Uno, deux, three … Here is something to decorate your interior with a trendy and modern touch ! This black deco wall clock is composed with the different hours of the face but in different languages. From our collection of original wall clocks, the design of our lingua model is rather uncommon compared to the more traditional clocks. Ideal for a lounge or kitchen, this modern wall clock will easily integrate any type of decoration even in a contemporary bedroom. The hands are perfectly integrated in the design of the wall clock for a clear vision of the time. 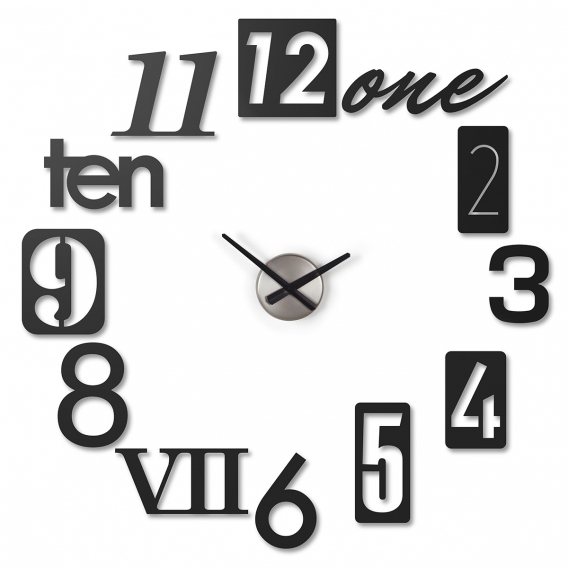 All our design wall clocks are fitted with a quartz movement and work on standard batteries (not included). Nous avons commandé cette horloge et nous sommes fan ! Elle va superbement bien dans notre cuisine.